The Central Board of Direct Taxes has notified Income-tax Return Forms (ITR Forms) for the Assessment Year 2017-18. One of the major reforms made in the notified ITR Forms is the designing of a one page simplified ITR Form-1(Sahaj). 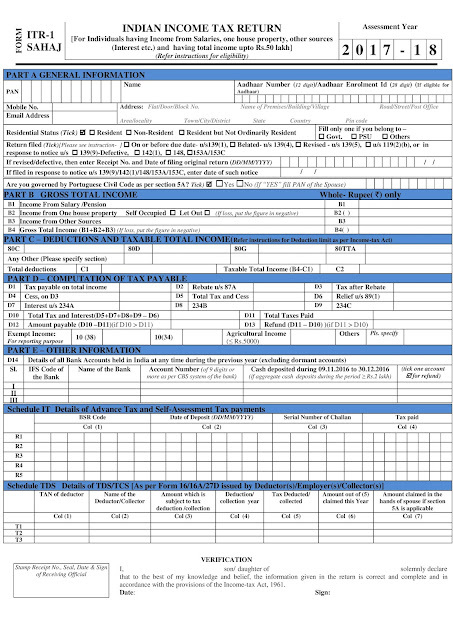 This ITR Form- 1(Sahaj) can be filed by an individual having income upto Rs.50 lakh and who is receiving income from salary one house property / other income (interest etc.) . 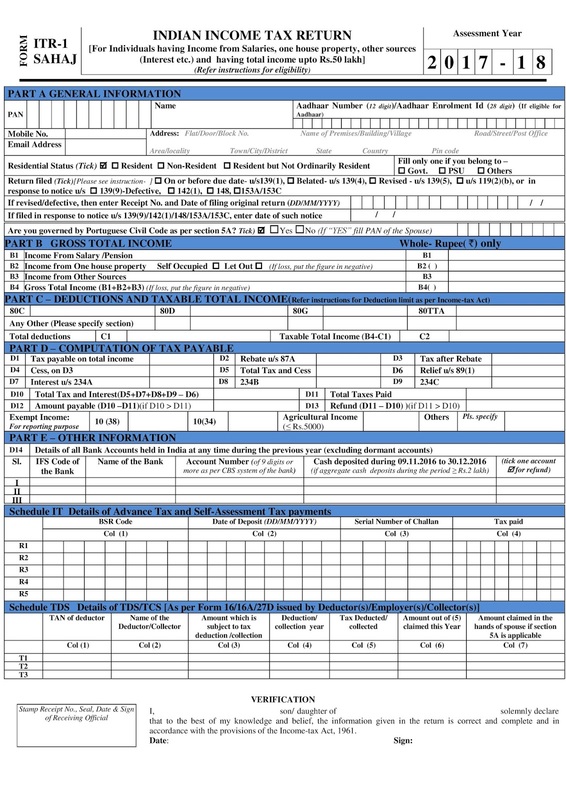 Various parts of ITR Form-1 (Sahaj) viz. parts relating to tax computation and deductions have been rationalised and simplified for easy compliance. This will reduce the compliance burden to a significant extent on the individual tax payer. This initiative will benefit more than two crore tax-payers who will be eligible to file their return of income in this simplified Form.